Arsenal could make a move for Stoke City goalkeeper Jack Butland after the World Cup this summer, according to journalist Kaveh Solhekol. The Gunners are reportedly eager to sign a long-term replacement for Petr Čech as soon as possible, a decision which would be welcomed by the majority of fans in north London. The club have been linked with the likes of Jan Oblak, Bernd Leno and even Jasper Cillessen this summer. But Sky Sports journalist Solhekol has tipped Arsenal to move for Butland after he returns from international duty in Russia. "He will almost definitely be leaving Stoke this summer,” Solhekol told the Transfer Talk podcast (via Sport Review). "Arsenal could look to get a new goalkeeper as well. Čech isn’t getting any younger. He will definitely be leaving after the World Cup." Arsenal's goalkeeping options leave a lot to be desired for fans at the Emirates. Čech has steadily become less reliable since joining the club, while David Ospina is unable to shake off his 'backup goalkeeper' tag. Butland has been on the radar of some of the biggest clubs in the ​Premier League for a number of years and the 25-year-old is still held in high regard despite failing to keep Stoke away from relegation last season. The former Birmingham City academy player featured in 35 games for Stoke last year, keeping six clean sheets. 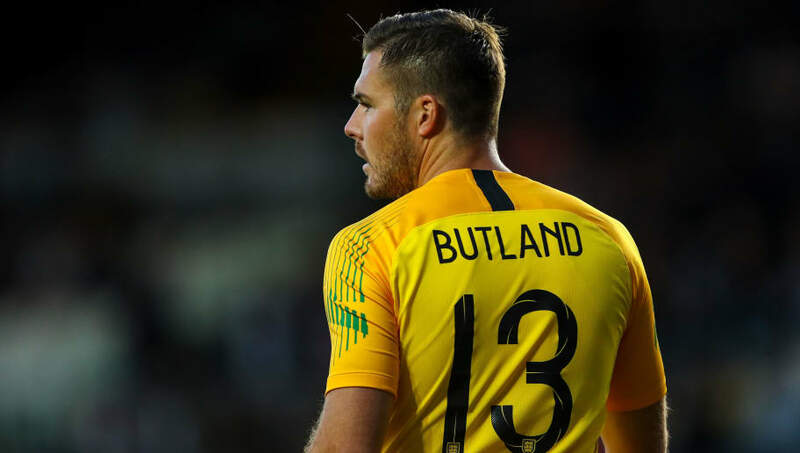 Butland is now expected to play second fiddle to Jordan Pickford at the World Cup, although he might get a chance to impress against either Panama or Belgium.